Amit is one of the most experienced and respected Pilates teachers in the UK. 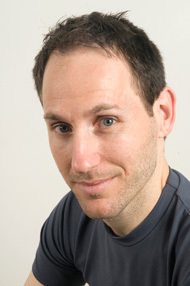 He has been managing and directing Pilates studios and programmes since 2001 and training Pilates Teachers since 2005. Amit is one of the co-founders of yoopod.com – a leading website that offers both Pilates and Yoga classes online. He is a sought after presenter, running Workshops, Master Classes and Retreats for Pilates Teachers as well as presenting in Pilates events in the United States, Japan and across Europe. Amit holds a Pilates Teaching Certification from Body Arts and Science International (BASI) and was a senior faculty member for the organisation between 2005 and 2013 when he decided to focus on providing further education to the broader Pilates teaching community. He studies regularly with world renowned teachers to broaden and deepen his knowledge and understanding of the Pilates method and human movement potential.